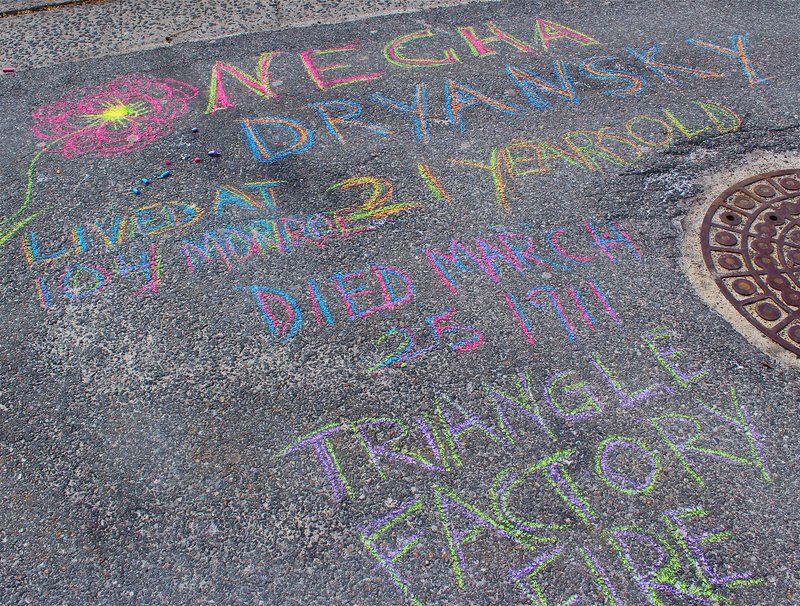 This is the second year that I’ve “chalked” as a remembrance of the victims of the Triangle Shirtwaist Factory Fire. On March 25th in 1911, one hundred and forty six young workers, mostly immigrant young women and girls lost their lives in a horrific fire stoked in greed that galvanized a movement for the safety of workers. 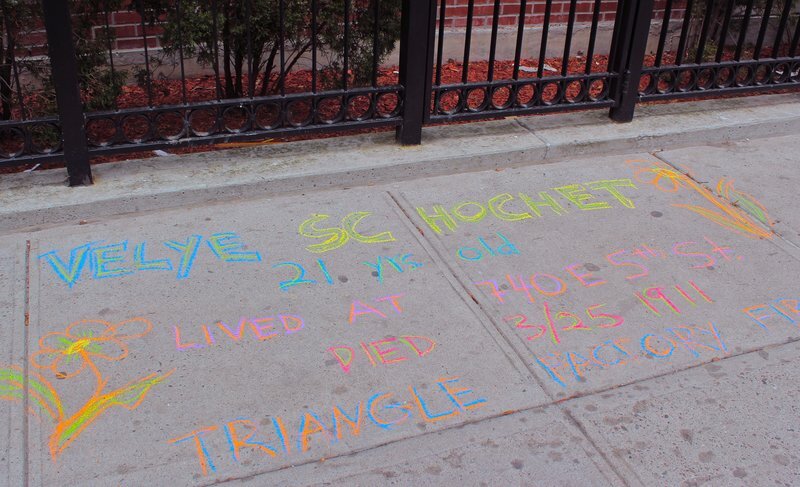 For the past ten years, artist Ruth Sergel has organized CHALK, a memorial project where volunteers “chalk” the names and ages of the victims on the sidewalks in front of their former homes. 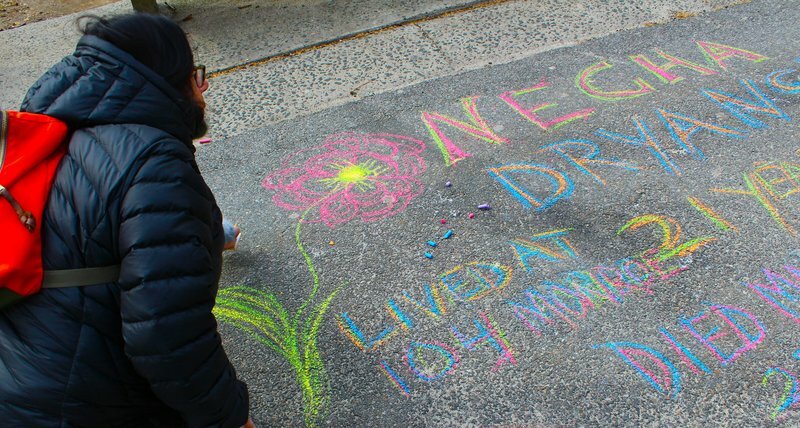 The colorful chalk memorials are a beautiful and bright tribute to the young women at the place where they lived, laughed and dreamed. The chalk memorials are numerous in our historical neighborhood of immigrants. They are on every block. It is heartbreaking to see so many of them. This year, I felt honored that my friend Rita Bobry, the proprietor of my neighborhood yarn store Downtown Yarns asked me to accompany her to chalk the memorial of her great-aunt who perished in the fire at age twenty-one. Her grandmother’s oldest sibling Necha Dryansky had immigrated from Poland and arrived in New York City alone at the age of sixteen. Like so many others, both then and now, she worked to support her family in the old country. 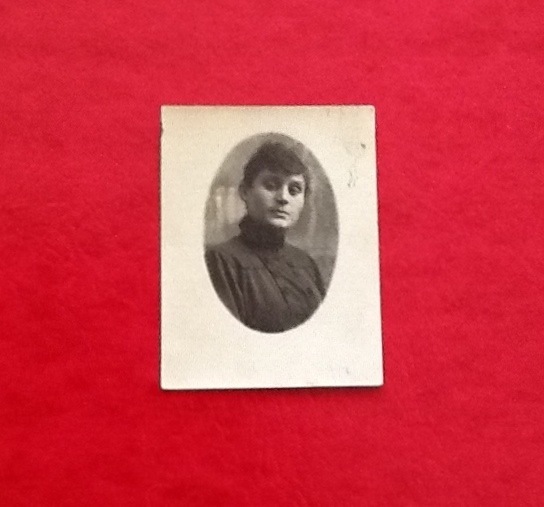 Necha lived with a relative on the Lower East Side and sent for her next youngest sister Sarah, who arrived in New York as a teenager just six months before her sister died in the factory fire. 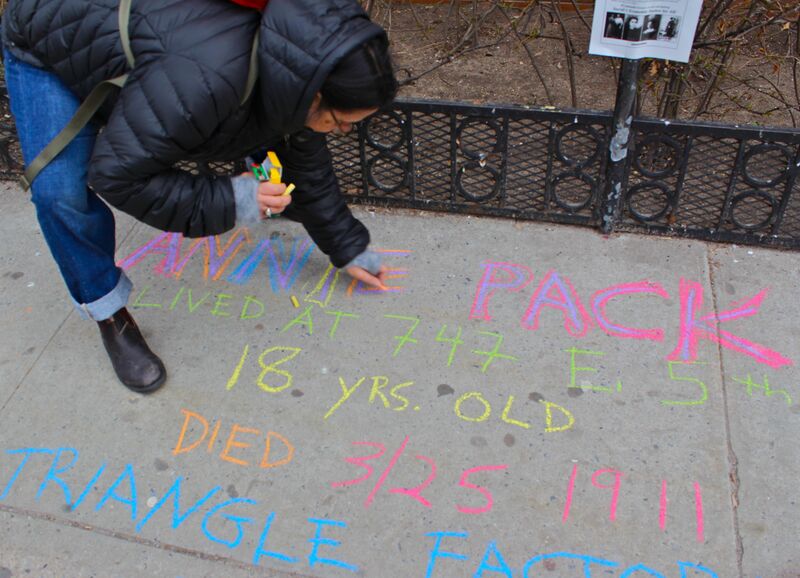 Rita and I began by chalking memorials for three young women who’d lived on East 5th Street. 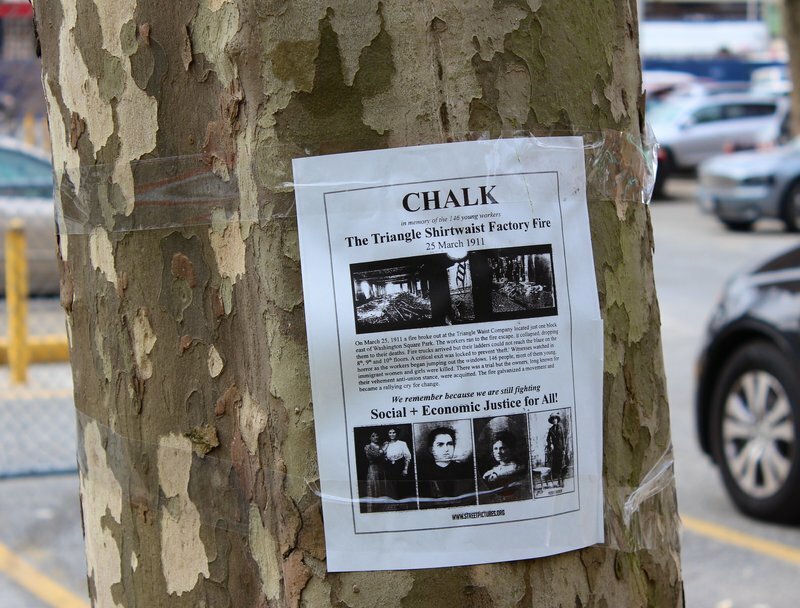 We were silent as we worked, smearing the chalk on the sidewalk. None of the buildings where these girls lived remained, but their addresses did. We chalked their names exactly where their homes stood once long ago. We wondered if they were friends and had walked to work together. They lived so close to each other and they were the only three on that block. Annie Pack, born in Austria. 18 years old. Lived in the US for 6 years. Union member. Our last stop was the former home of Necha Dryansky, Rita’s great aunt. Necha lived at 104 Monroe Street. It was hard to find because that address no longer existed. The last number of Monroe Street that Rita and I found was No. 73. Then it turned into a pedestrian walkway for a housing project. There was a beautiful view of the East River. We could see glints of gold morning sunlight in the grey water. We remarked how in the early 1900’s, this place was full of tenement buildings and that people swam in the East River in the summer. Rita chalked the memorial to her great-aunt and I feel privileged to have helped a little bit with outlining in contrast colors. 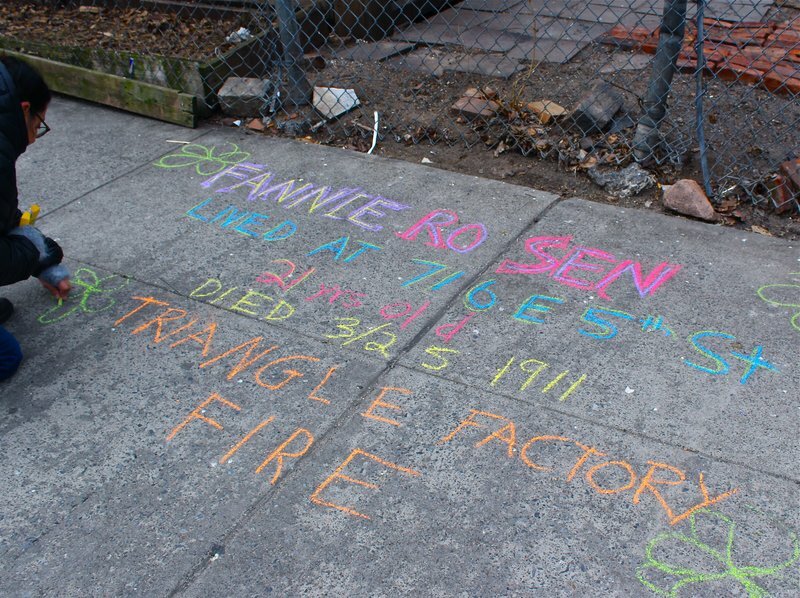 My post from last year’s Triangle Factory Fire Chalk Project is here. This entry was posted in loisaida - the neighborhood by ileana. Bookmark the permalink. Beautiful! Thank you for standing up for the Triangle Workers! Ruth, thanks for giving us the opportunity to participate. I would love that Elizabeth. Thanks!